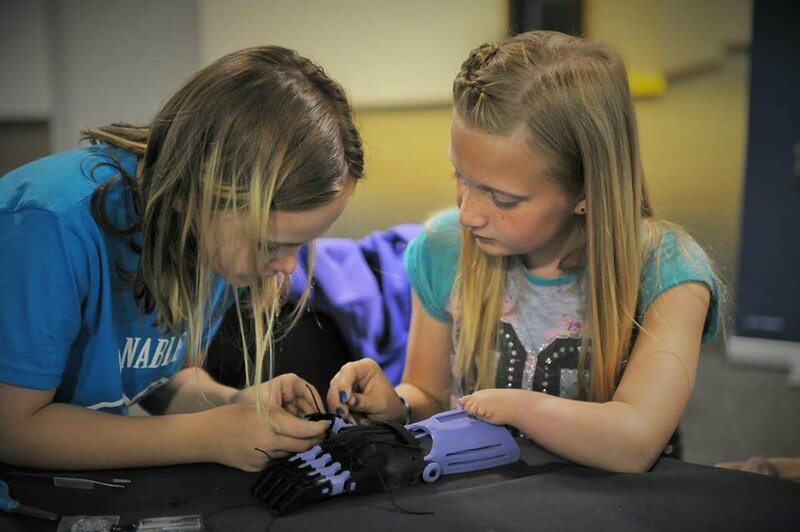 Organizers of the Enable community have just announced that the worldwide group of volunteers who 3D Print prosthetic hands for those in need will be meeting on October 24, 2015 at the University of Washington, Bothell in a hands-on conference. The awesome first conference at Johns Hopkins University demonstrated Crowdsourcing’s power with a array of inspiring activities. EnableCon2015 is intended to foster collaboration between recipients, families and medical, educational, and engineering design leaders. Talks and workshops will be supplemented by hands-on assembly that will include e-NABLE’s gifting of hands and arms to over a dozen recipients and veterans. Also on the schedule are working lunches and an Unconference to review and advance the new research projects and activities that are part of the recent Google grant for R&D. Conference Coordinator Maria Esquela says, “this conference will show the world why, and how, e-NABLE has been able to do so much so quickly.” Enable is a heart-warming testament to the generosity of human spirit and demonstrates how people can #3DPrint4Good! To get more information about attending and meeting these amazing people, go to http://enablingthefuture.org/enablecon2015/.